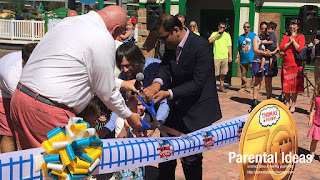 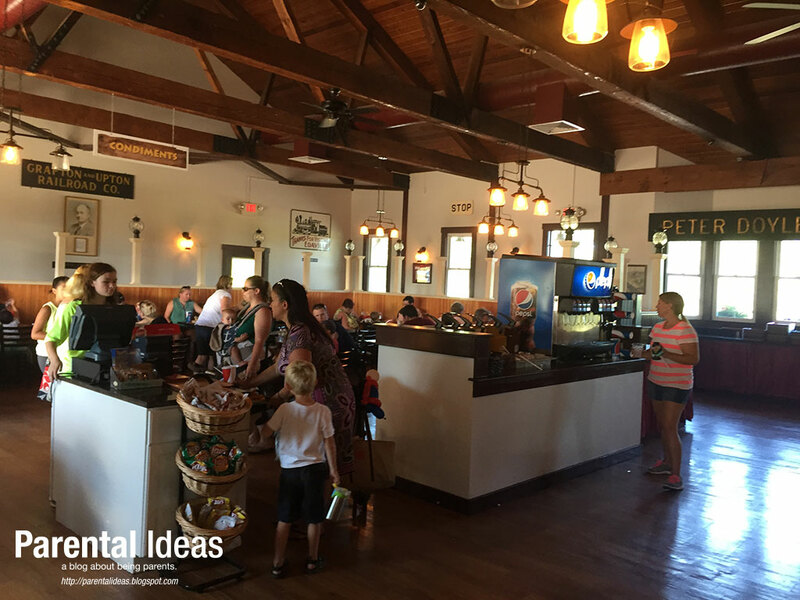 We were invited to attend the grand opening of Thomas Land at Edaville USA and had a great time! 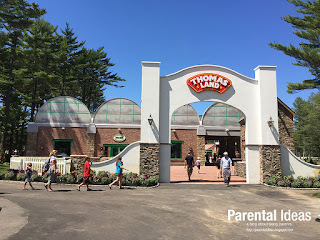 Thomas Land at Edaville USA, which opened in August 2015, is the first Thomas amusement park to open in the United States. 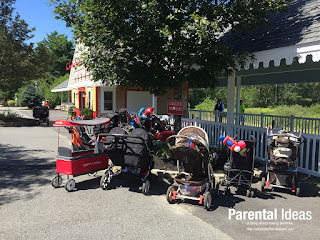 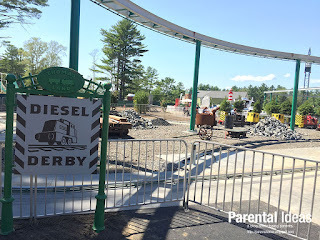 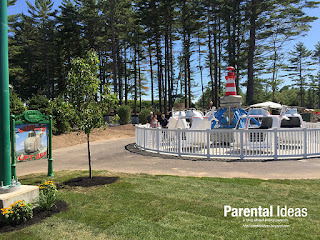 Edaville is a 70 year old family amusement park located in Carver, MA, and is most popular in the summer time and the holiday season. 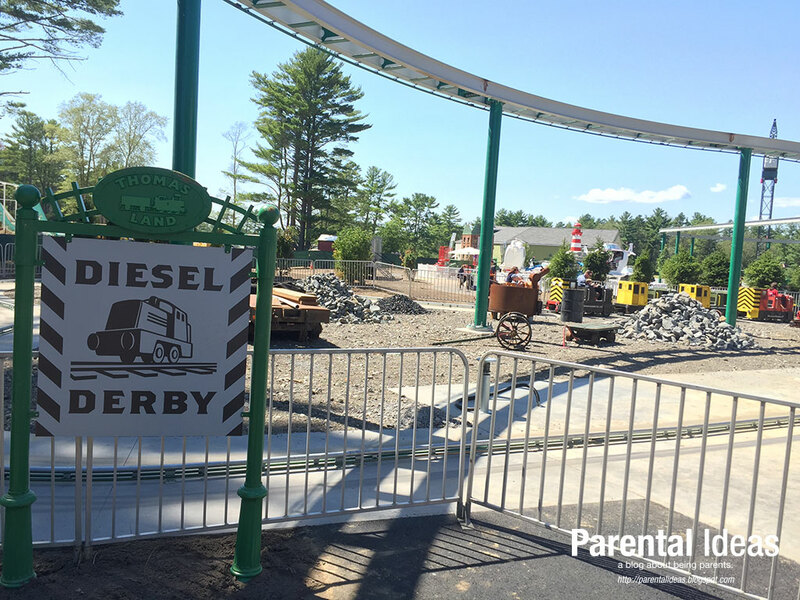 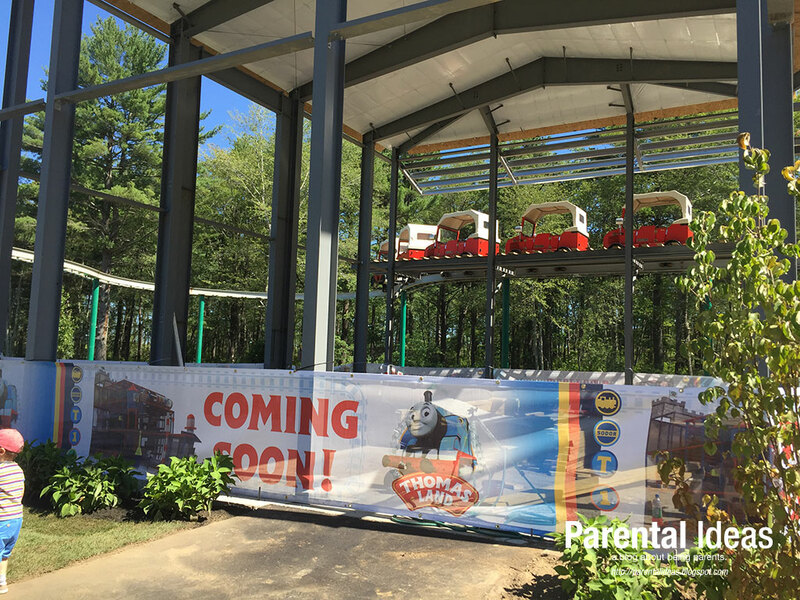 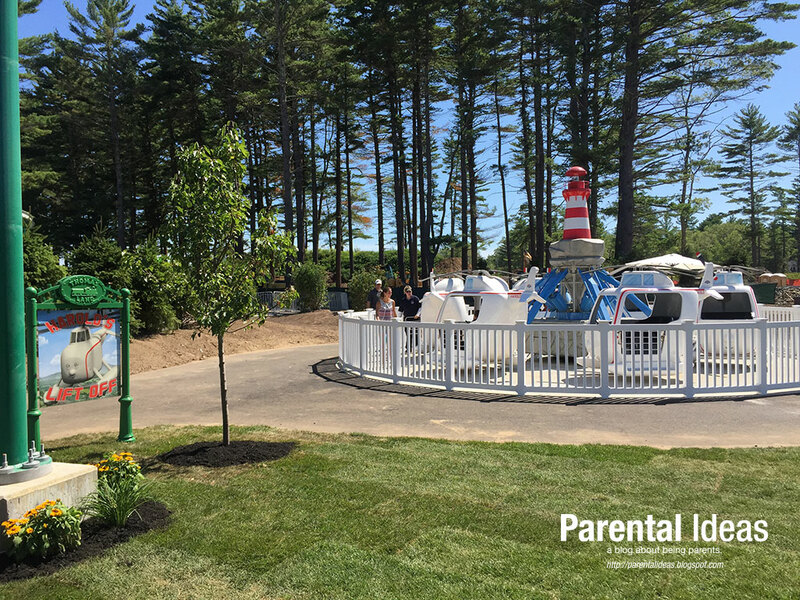 With the opening of Thomas Land, kids and rail enthusiasts of all ages will have some fun new rides to enjoy! 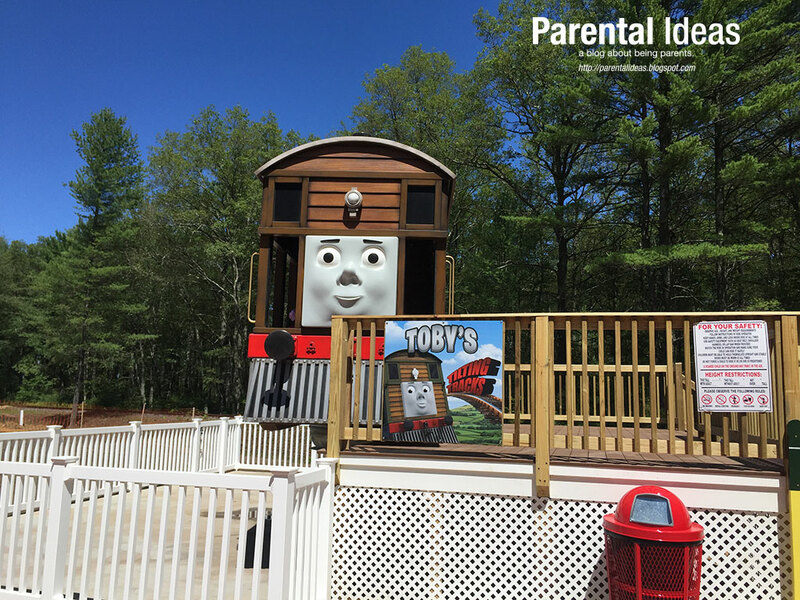 Admission to Thomas Land is included with regular admission to Edaville USA. The day started with some fun music and a few speeches. 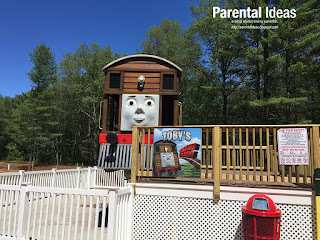 Then we took the first ride on the Edaville train with Thomas the Engine at the front! 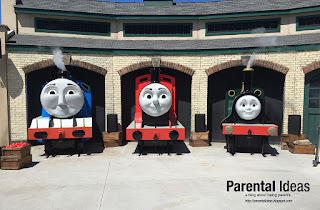 This was the usual trip around Edaville but instead of the usual steam engine, Thomas was at the front leading the way. 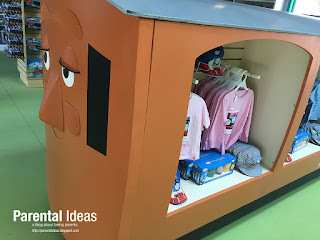 They even had controls to make his face move with his eyes and mouth moving smoothly, which really made you feel that he was alive! 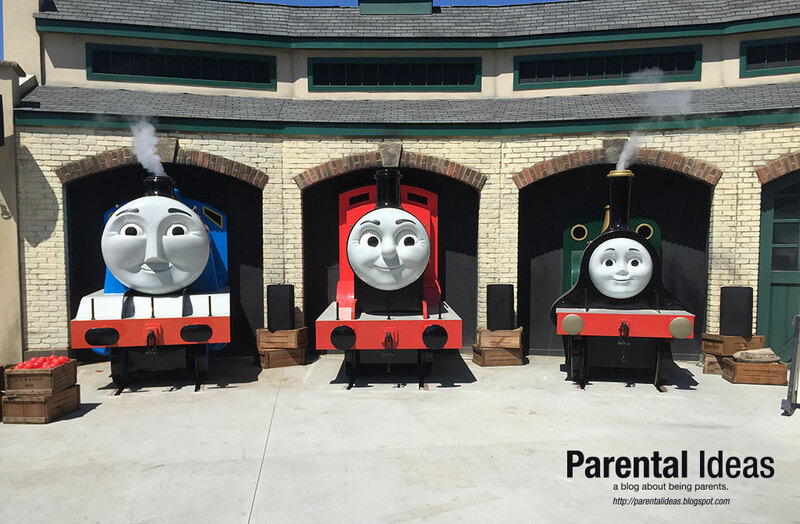 After the trip, we walked throughout the park towards the new Thomas Land led by a jazz quartet. 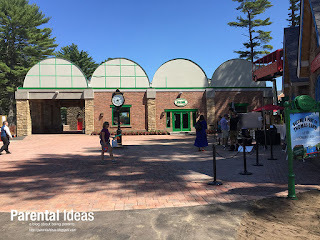 When we arrived at the entrance we waited for a few moments and then Jon Delli Priscoli, the owner of Edaville spoke for a while along with Sid Mathur, Mattel's VP of Strategic Developments (maker of Thomas the Engine), and even Tamera, host of "The Real" and star of the 90's sitcom "Sister, Sister." 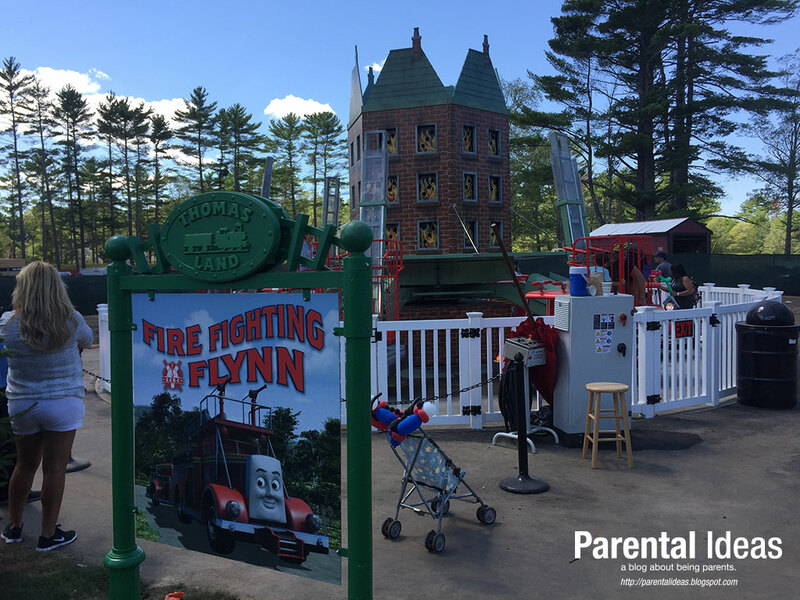 We really enjoyed the Fire Fighting Flynn ride which you can shoot water at a building using a hose while moving up and down. We found that all of the rides were built so that an adult could ride with their child. 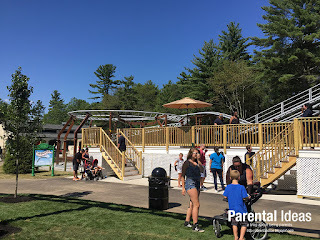 We enjoyed this ride because it was so hot, we could use the water to cool down! One thing we realized is that there weren't too many places with shade and it was a hot August day and quite humid. 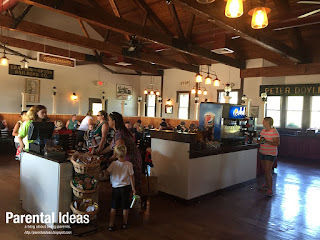 That being said, there were a few places we could escape to with air conditioning - namely the cafe and the Thomas store. *Online purchases only; regular admission only, not valid for Polar Express, subject to change without notice and not valid with any other offers. 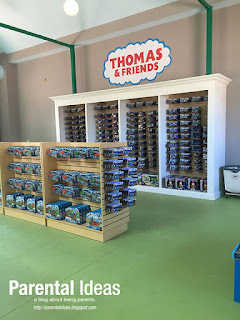 NOTE: We were provided with complimentary passes to the grand opening of Thomas Land at Edaville USA. All opinions are our own.